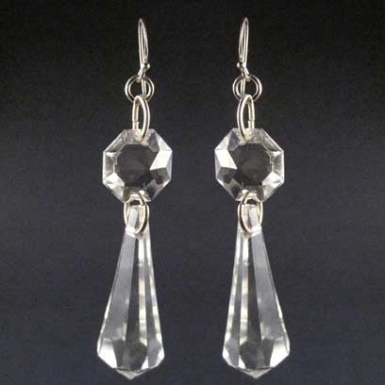 These large heavy glass icicle style earrings are made from antqiue chandelier pieces and hang from sterling silver earwires. An ice cool elegant statement. Measures 75mm from top of silver earwire to bottom of glass dropper. Limited edition. Comes in beautiful embossed black and gold box.